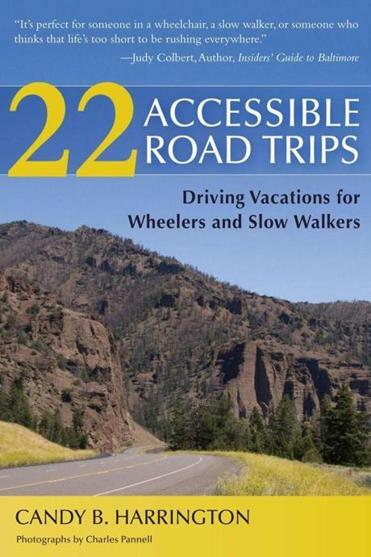 With tape measure in hand, California-based travel writer Candy B. Harrington travels the United States and beyond to discover which attractions, lodgings, and other destinations are accessible for wheelchair users and other mobility-impaired people. Harrington shares her findings on her newsy blog, www.barrierfreetravels.com, and in a series of guidebooks, the most recent of which is “22 Accessible Road Trips: Driving Vacations for Wheelers and Slow Walkers.” Out this year, it offers ideas for multiple stops on driving tours in 22 regions of the country, including lodging, dining, and attractions. For those who want to deviate from Harrington’s course, she lists fly-drive options and ideas for customization.